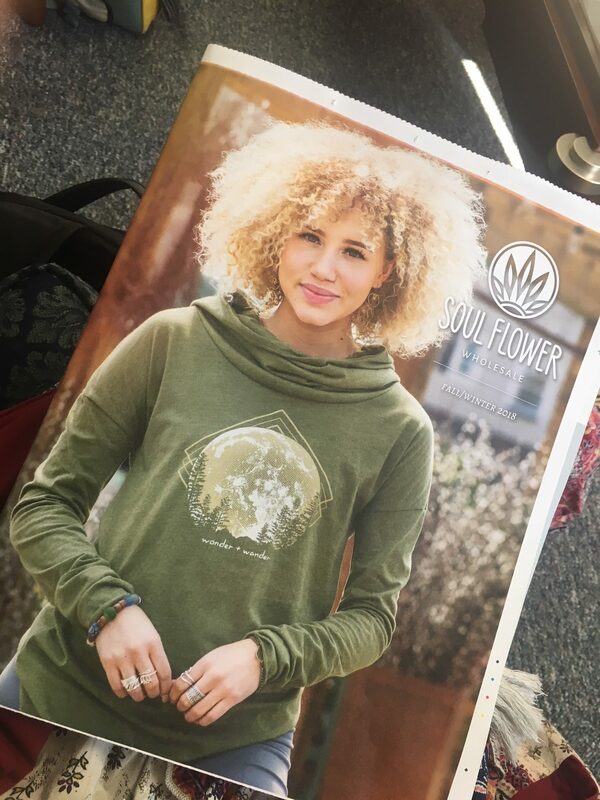 Hey Buds, you know we are always looking for ways to be more eco-friendly and we are excited to say – we found a new one this season: our latest wholesale catalog (released to boutiques and shops that carry Soul Flower) is now being printed on 100% recycled papers! Our new paper is 100% post consumer recycled and approved by the FSC (Forest Steward Council). We have worked with our current printer for a few years now and have always been very impressed with their eco friendly practices throughout their facility. 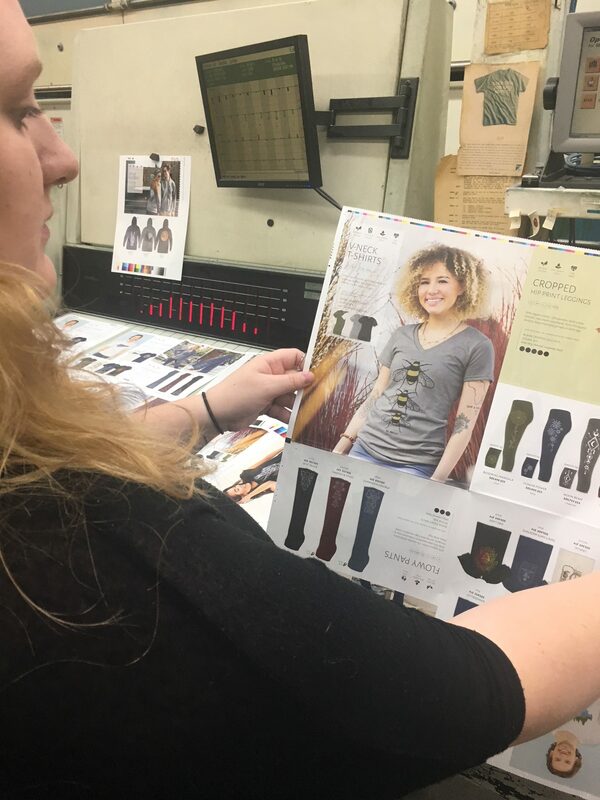 We are especially proud to be their first catalog printing on 100% post consumer recycled paper using eco-friendly soy-based inks. We print on 100% recycled paper by ENVIRO PRINT. This paper is FSC certified and 100% post consumer recycled. We use soy based inks. Our printing inks qualify for the Soy Seal because they are made with a high enough amount of soybean oil to meet the labeling threshold set by the American Soybean Association. We recycle all printing and office papers. 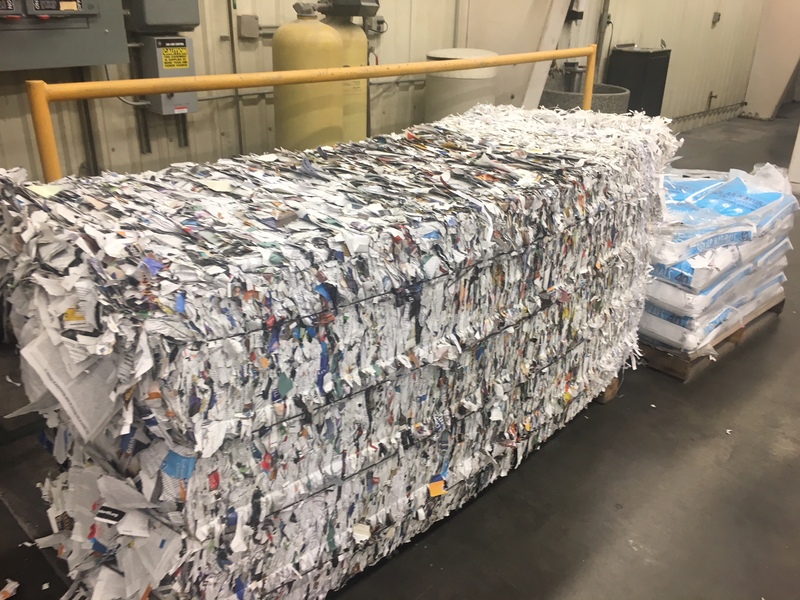 Last year we recycled 1,600,000 pounds of scrap paper. This included press make-ready, bindery trimmings, and old magazines. 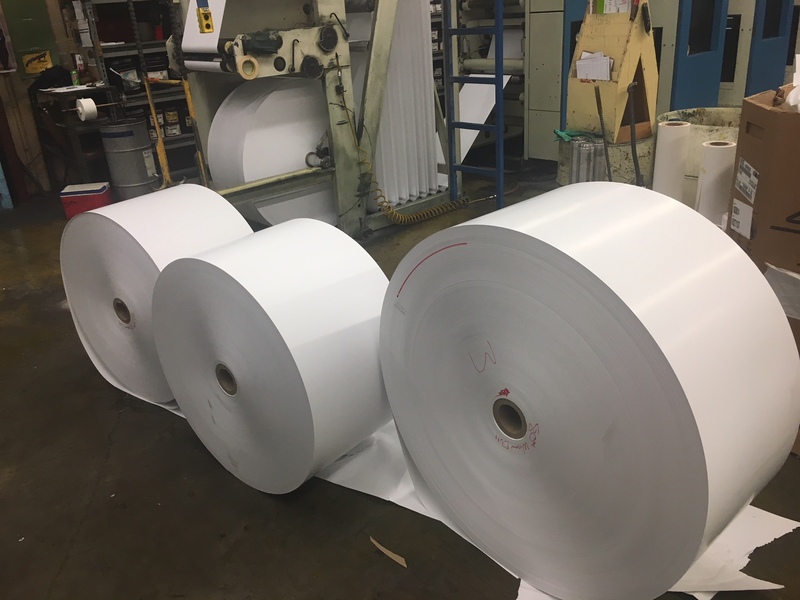 This paper goes directly back to the paper mills to be de-inked and mixed into the slurry while making new paper. We recycle EVERYTHING used in the printing process. If it can be recycled, we do it. Aluminum printing plates, cardboard, office paper, press wash, press lubricants, used metal parts, fiber paper roll cores, the usual plastic bottles, cans, newspapers, and more. We reuse what we can. Wooden pallets are rebuilt and reused, cutter blades are sharpened and reused, plastic postal pallets and containers are reused continuously. We purge mailing lists of undeliverable copies. We work with all of our publishers to purge mailing lists of bad and duplicate addresses. This minimizes the amount of copies produced and mailed to only the required amount and saves paper, postal resources and postage dollars. We are FSC Chain of Custody certified. 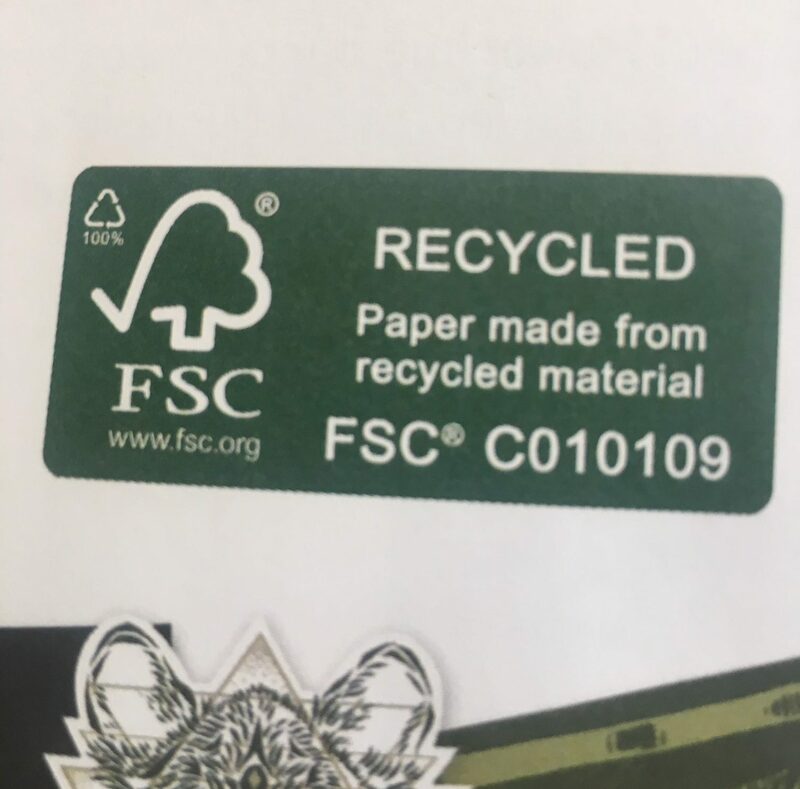 We have been FSC COC certified for over 10 years which allows our customers to use the FSC logo in their printed pieces. This ensures the paper used is coming from responsibly managed sources. We reduce our energy consumption. We regularly work with our energy provider, Xcel Energy, on programs to reduce our energy consumption. One recent project included a heat capture system to redirect heat from our air compressors back into the building during the winter heating season. We share our green space. We have about 5 acres of open space next to our plant. We currently allow the local Youth Soccer Association to use this space for their summer soccer fields. It’s a good feeling to look out and see a field full of happy kids running and playing! Thanks for helping us continue to be more eco-friendly! p.s. Hey Retail Customers! We no longer print a retail catalog because our product line changes so quickly – the best way to see what we currently offer is to look through our website and join our email list. We do periodically mail postcards and other cool things to our buds, so please enter your address here for future mailings. What a great website featuring a great Company. Very well done.